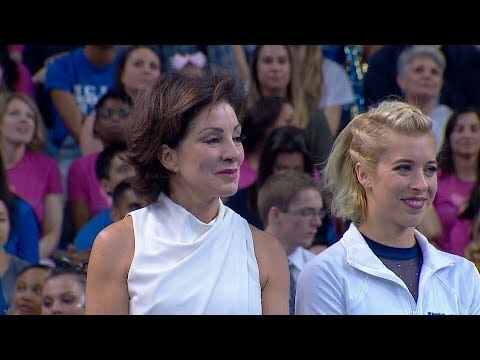 Legendary UCLA Gymnastics head coach Valorie Kondos Field, better known as “Miss Val”, joins fans, gymnasts, and friends in a celebratory dance party after her final meet. Miss Val led the Bruins to seven NCAA Championships, and 14 Pac-12 titles over her storied career. She was also named Pac-12 Coach of the Year in 1995, 2000, 2003, and 2012. 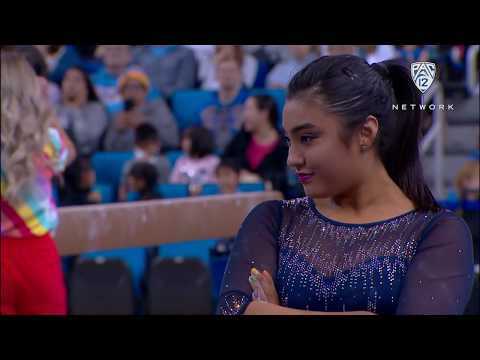 UCLA gymnast Kyla Ross scored her first career perfect 10 on floor Mar. 16, 2019 to complete the Gym Slam with perfect 10s on every event. 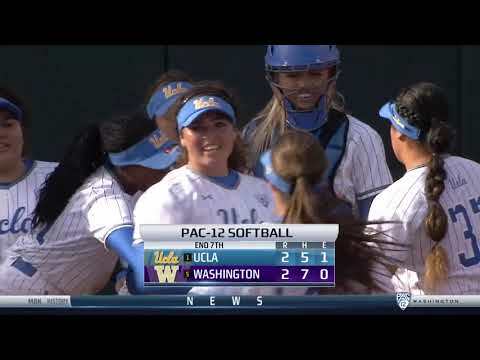 Highlights of the Bruins’ 4-2, eight-inning victory over Washington on March 16. 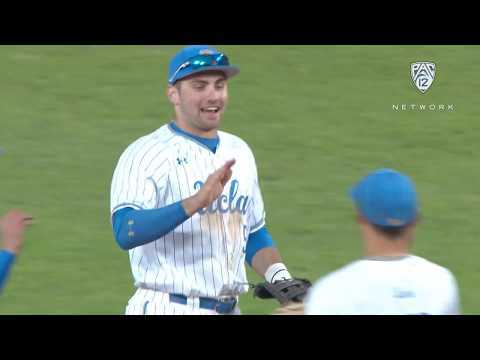 Pac-12 Networks’ Thad Anderson and Wes Clements analyze how UCLA was able to overcome a four-run deficit for a 7-5 win over USC on Sunday at the Dodger Stadium Classic. 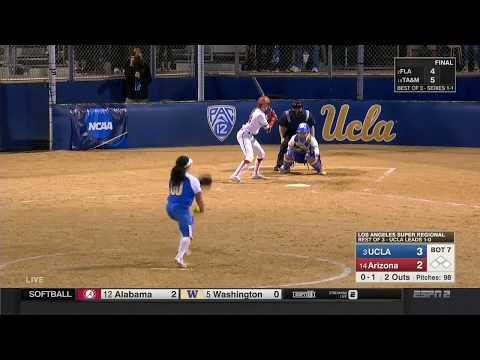 The Bruins scored two runs in the seventh and two in the eighth to go ahead. Garrett Mitchell had a two-hit day for the Bruins, who move to 11-3 on the season. 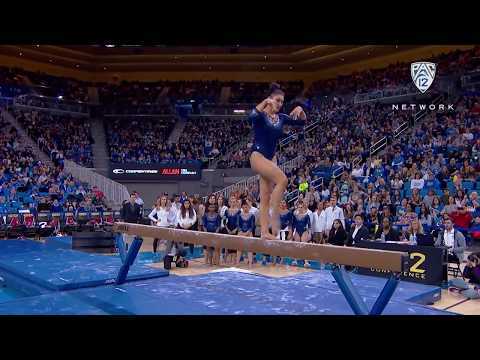 UCLA gymnast Kyla Ross grabbed her 13th-career perfect 10 with a flawless routine on the balance beam against Stanford. The score also marked her first perfect score on balance beam this season, her sixth-straight week with a perfect 10 and her 8th overall this season. In front of a record 10,177 fans on Sunday at the Lloyd Noble Center, No. 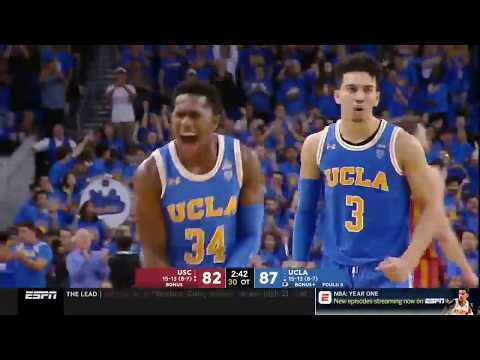 2 UCLA narrowly missed a win over No. 1 Oklahoma with a score of 197.775 – 97.575. 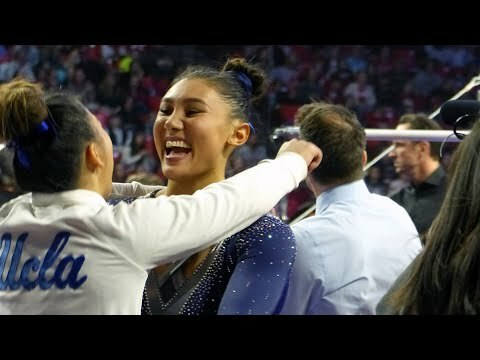 Kyla Ross scored back-to-back perfect 10’s on uneven bars and vault, making it her 5th consecutive week she has scored a perfect 10. It was also her second-straight perfect 10 on uneven bars and the 12th perfect 10 of her career. Katelyn Ohashi also grabbed her ninth perfect 10 with her internet-breaking floor routine. The UCLA men’s basketball team defeated USC in overtime, 93-88, on Thursday, Feb. 28. Jaylen Hands scored 21 points and had 10 assists in the victory. 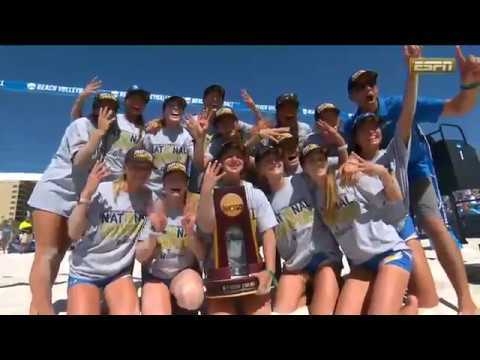 Pac-12 Networks’ Jim Watson and Sam Peszek recap No. 3 UCLA’s 198.0250-194.9750 win over Arizona Saturday at Pauley Pavilion. Kyla Ross finished with a career-high 39.850 in all-around as she recorded a perfect 10 in vault. 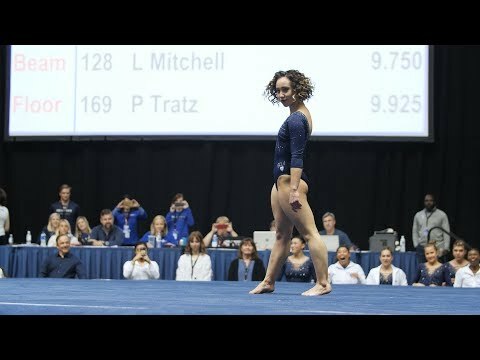 Katelyn Ohashi again impressed on floor as she recorded a perfect 10. 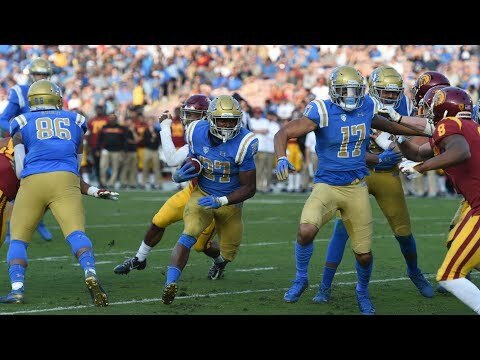 UCLA’s Joshua Kelley rushed for a career-high 289 yards on 40 carries and added two touchdowns, and the Bruins reclaimed the Victory Bell for the first time since 2014 with a 34-27 win over rival USC. The Bruins jumped out to a 14-3 lead, but the Trojans responded by taking a 24-21 advantage to the break. 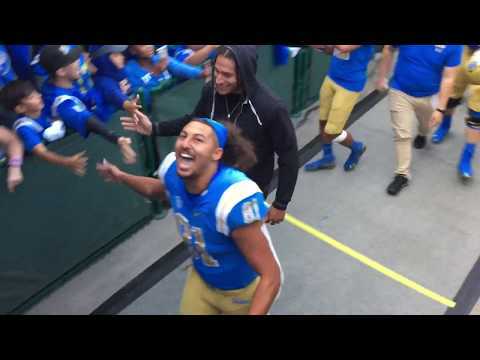 UCLA would outscore USC 13-3 in the second half en route to snapping a three-game losing skid. 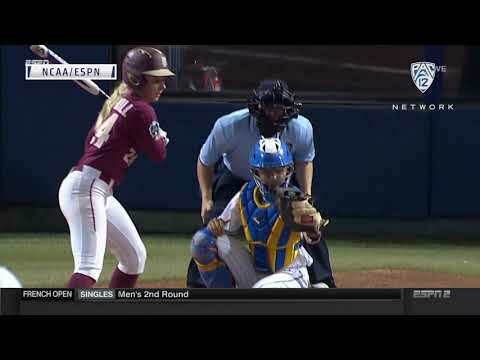 Pac-12 Networks’ Jim Watson and Tracey Bailey break down UCLA’s 3-2 win over USC on Friday at the StubHub Center in Carson, California. Olivia Athens had the golden goal for UCLA in the 105th minute to cement the Bruins’ ninth straight win heading into the NCAA Tournament. 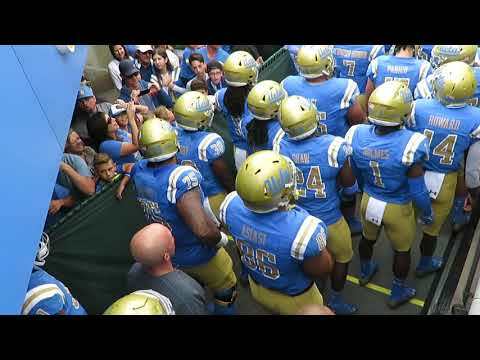 UCLA Bruins defeat the Arizona Wildcats 31-30 at the Rose Bowl. 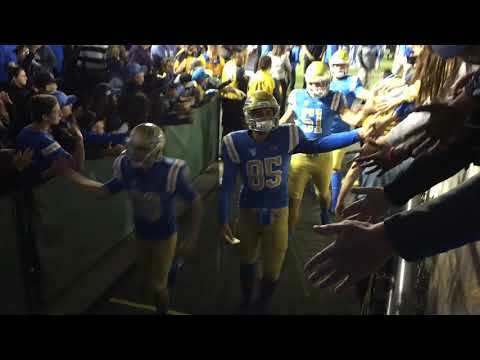 UCLA Bruins host the Washington Huskies at the Rose Bowl led by Dorian Thompson Robinson and Joshua Kelley. 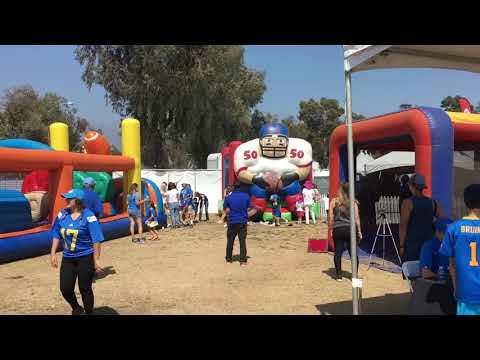 Fancam of UCLA football season opener against the Cincinatti Bearcats at the Rose Bowl. 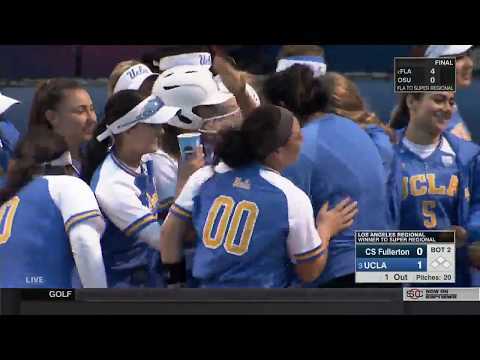 Trailing 4-1 heading into the bottom of the sixth inning, UCLA rallies to knock off Florida State 7-4 Thursday night on the first day of the Women’s College World Series in Oklahoma City, Oklahoma. Kylee Perez went 3-for-4 with a go-ahead three-run to put the Bruins up for good and set up a Friday showdown with Florida. 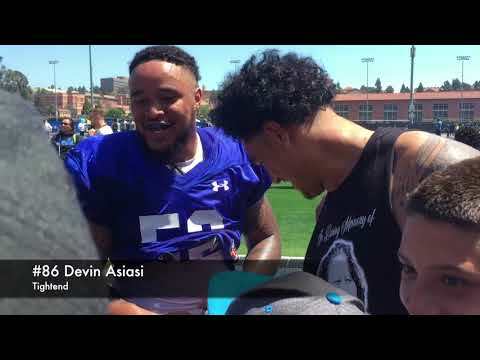 New head coach Chip Kelly puts on his first Spring game for the UCLA football team followed by autograph signings from players like Soso Jamabo, Chase Cota, Devin Asiasi, Theo Howard, Josh Rosen and more.